Seagull #GPK- let’s get it running! Below you will find Seagull #GPK Support. These sections only cover basic parts from the full manual ! 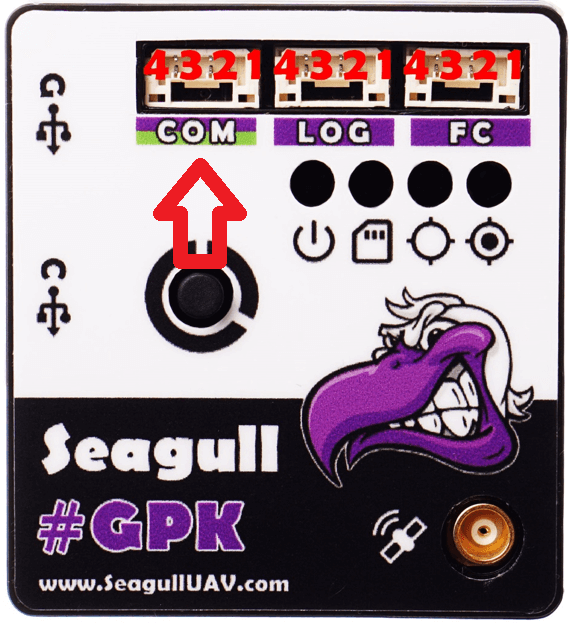 When connecting to the #MAP-X2 please utilize the port called LOG with the purple sleeve JST-GH cable, that came with the #GPK. Make sure that both CONFIG.txt files in #GPK and #MAP-X2 have the same BAUDRATE value. When connecting to #RADIO or any other radio platform that you might have on hand, please make sure to use the port name COM. Please make sure that the BAUDRATE is same on the radio modules as in the file CONFIG.txt of #GPK. Rover – operation is selected please connect GREEN sleeve JST-GH cable to your radio platform. Base – operation is selected please connect PURPLE sleeve JST-GH cable to your radio platform. 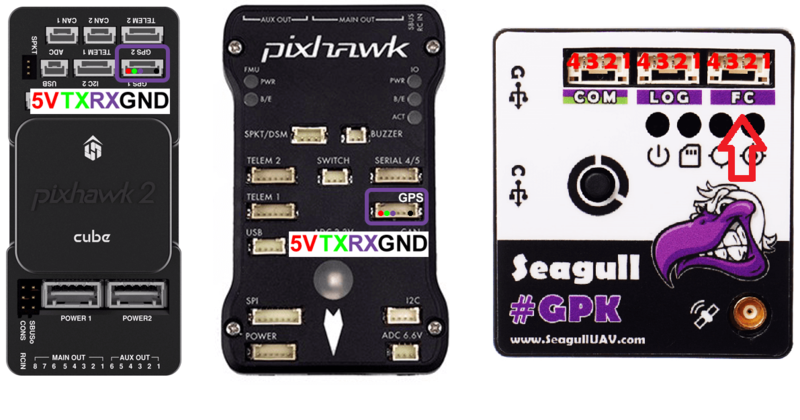 Connect the #GPK module that is operating in ROVER mode to the Pixhawk1, Pixhawk2, Pixracer or other ardupilot based flight controllers directly into the GPS marked ports. 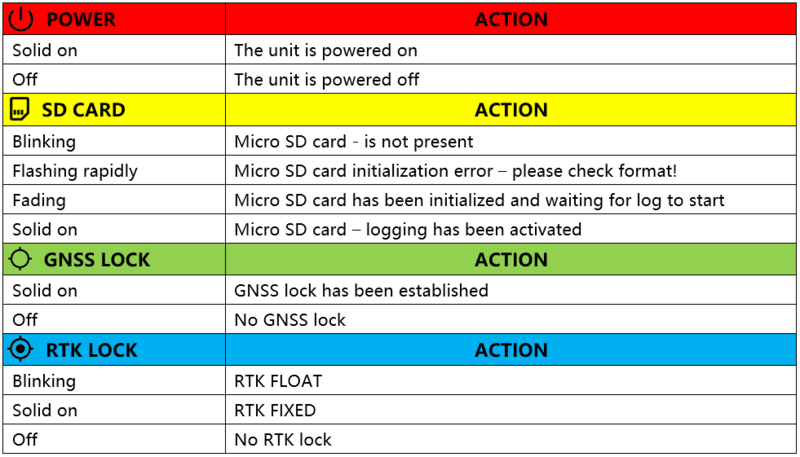 There is no need to setup any extra configuration, because all the necessary modes are set by #GPK. 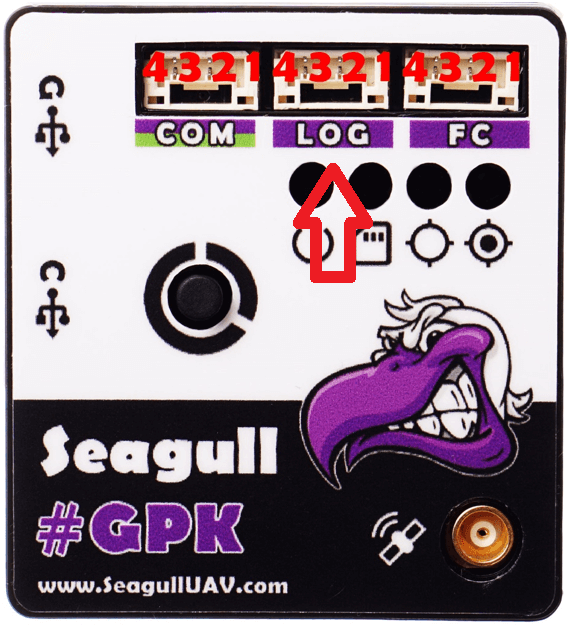 Please use the port that is called FC on the #GPK when connecting to the flight controller. 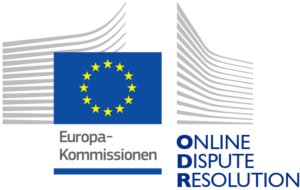 – and we will get back to you ASAP !